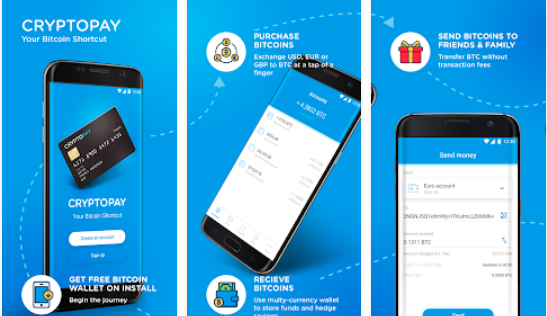 Don’t take the risk, take the precise control over your money using the Cryptopay app. You are able to transfer your funds between five different accounts, making it easy to minimise the risks of market volatility. You can hold your bitcoins or litecoins in a EUR, USD or GBP wallet so cryptocurrency price fluctuations won't affect the funds. What are we waiting for? Let’s see how we can do that. 2. Choose the amount you would like to transfer. Don’t forget that 1% conversion fee will be charged. 3. Once you click on the “Transfer”, you need to confirm the operation. There is no need to hurry, take a closer look at all details. You may notice that the exchange rate is updated every 30 seconds. If everything is great, press the Confirm button and you're done. Yes, it is that simple and that fast. Unbelievable, right? Please feel free to share your thoughts on our Android App. We would be happy to get feedback via live chat or email support@cryptopay.me.